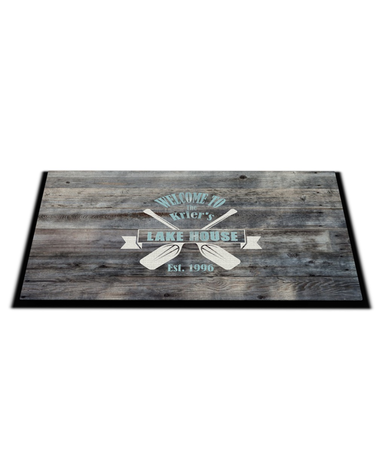 This rustic looking door mat features a distressed and slatted wood background, along with a pair of crossed paddles. 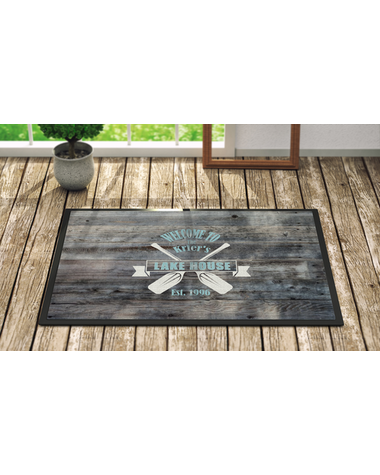 The mat is personalized with the family name and optional "Established" date. If you don't know that year the home was purchased, you can leave it off. The door mat measured 36" x 24" and is made from a 100% tufted polyester, with a rubber backing, so it won't slip around. 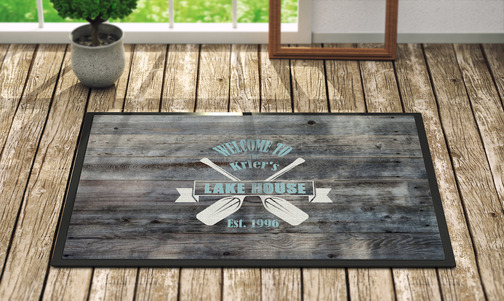 The mat is offered in either a lake house or river house version.